« WAPS and LVC presents… STRETCH TO SPLITS! 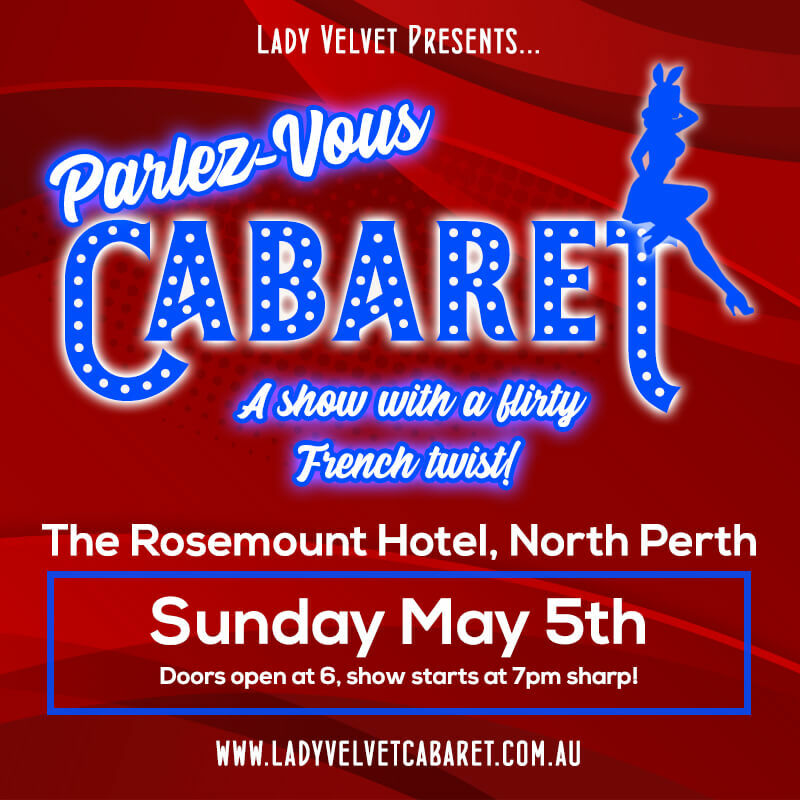 Join us for PARLEZ-VOUS CABARET, a show with a flirty French twist! If you’ve got a hankering for song and dance, variety acts, prizes, laughs, sizzling burlesque, and inSEINE amounts of talent – you are in the right place. Sit back and relax, enjoy a meal from Rosemount Hotels delicious menu as you enjoy a magnifique showcase of the artists, students, and special guests of Lady Velvet Cabaret. Let us transport you to the cobbled streets of fair Paris for an evening of glitz and glamour! WHEN: Sunday May 5th. Doors open at 6.00pm, show starts at 7.00pm sharp! DRESS: Your cabaret best! Prizes for the fanciest frocks.